Surveying is a complicated and scientific activity. Wikipedia does a splendid job of defining it. Surveyors work with elements of mathematics (geometry and trigonometry), physics, engineering and the law. 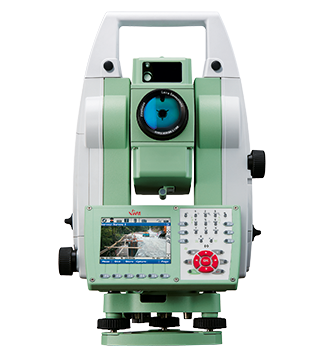 They use equipment like total stations, robotic total stations, GPS receivers, prisms, 3D scanners, radios, handheld tablets, digital levels, and surveying software. Surveying has been an element in the development of the human environment since the beginning of recorded history. The planning and execution of most forms of construction require it. It is also used in transport, communications, mapping, and the definition of legal boundaries for land ownership. We have put together some information on this page that will help the surveying novice to understand some of the jargon and concepts that are used on this website and other surveying resources you may find on the web. The measurement of dimensional relationships, as of horizontal distances, elevations, directions, and angles, on the earth's surface especially for use in locating property boundaries, construction layout, and mapmaking. What qualifications does a surveyor have? Licensed Surveyor – Undertakes surveys to determine the accurate positions of legal boundaries and surveys structures that may be close to any legal boundary. Engineering Surveyor – Surveys structures that are not close to legal boundaries. Licensed Surveyors require a four year University Degree in Surveying and then have to undertake a cadetship under a Licensed Surveyor. Engineering Surveyors generally need a Diploma or Certificate from TAFE as their primary minimum qualification. (of a map or survey) showing or including boundaries, property lines, etc. of or pertaining to a cadastre. A Strata is a form of land tenure that is governed by the Strata Titles Act. It was first introduced in NSW and Victoria in the early 1960’s so that the public had an effective form of ownership of buildings and land within high rise blocks of flats or units. Strata subdivisions can occur horizontally and/or vertically with both land and buildings capable of forming a strata title. What is a built strata? A Built Strata is a form of strata subdivision where the buildings are surveyed and shown on the Strata Plan. The unit entitlement is based on the improved value of the land, where as a Survey-Strata which does not show the buildings, the unit entitlement is based on the un-improved value of the land. What is a strata conversion? A Strata Conversion is where Built Strata Schemes, created prior to 1998, can be converted to Survey Strata schemes without requiring WAPC or Local Government approval. A Licensed valuer has to be engaged to certify the new unit entitlement. A licensed Surveyor undertakes an authorised survey and prepares a Strata Conversion Plan which is lodged at Landgate . What does Green Title mean? Green title subdivisions are independent in the sense that they have their own services (sewer, power, water, etc) and provide you with freedom to develop as you wish (within the law). There is no common property with other titles and it has it's own road frontage. Also known as freehold subdivision. What are the green title zoning requirements? Green title zoning requirements depend on the zoning of the property but may have restrictions such as minimum frontage, minimum area for battle-axe type subdivisions and/or minimum setbacks for dwellings from front, side and rear boundaries. What is a subdivision survey? A Subdivision Survey requires an alignment survey in order to accurately define the actual positions of the boundaries on the ground. This has to be done by a licensed surveyor with a practicing certificate. From this information the new boundaries can be calculated as created and the new subdivisional plan prepared. What is a boundary repeg/redefinition? A Boundary Repeg also requires an alignment survey in order to accurately define the actual positions of the boundaries which are then marked on the ground using pegs or other marks at the boundary corners. A repeg certificate (Reg 25A) is prepared and signed by a Licensed Surveyor along with a sketch plan showing the position and nature of the marks used and provided to the client. What is an alignment survey? An Alignment Survey is when the entire street is surveyed to locate original survey reference marks in order to enable the Licensed Surveyor to mathematically re-establish the location of the original boundaries. A Setout is a survey which marks out key points of a building so that the builder can confidently construct the building in the correct position in relation to the boundaries. What is Reg 25A certification? A Reg 25A Certification is a certificate provided by a Licensed Surveyor after a boundary repeg survey has been completed which states the date of survey and that the boundaries of the parcel of land was re-established or re-defined as shown on an attached sketch/plan in accordance with all relevant written laws. This certification must be provided within 30 days of the survey being undertaken. An Identification Survey goes one step further than a boundary redefinition as it also locates any significant structures in relation to their nearest legal boundary. These can include corners of buildings, gutters, fences, sheds, granny flats and retaining walls to name some of the most common. An As-Constructed Survey is similar to an identification survey but is usually undertaken for public utilities such as sewer mains, water mains, roads and other structures and are surveyed three dimensionally so that depths of pipes etc can be noted. A Lease Area Survey is a survey undertaken to determine areas to be used in lease documents which allow a value to be applied to the square meterage. These surveys need to adhere to strict guidelines set down by the Property Council of Australia . The Licensed Surveyors report and sketch plan become an integral part of the lease documents which are signed and accepted by both the lessee and lessor. What is net lettable area? Net Lettable Area is the term referred to for calculating tenancy lease areas for office buildings. What is gross lettable area? Gross Lettable Area is the term referred to for calculating retail tenancy lease areas in shopping centers and other commercial buildings. Aerial Mapping is data collection from the air to provide maps. This can be done by conventional fixed wing aircraft or unmanned aerial vehicles (UAV’s) or otherwise known as drones which are becoming increasingly common. 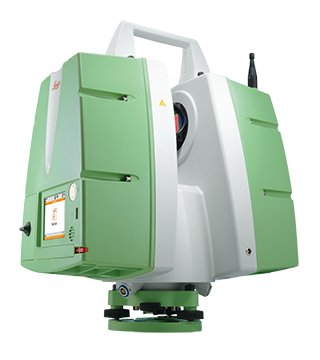 3D scanners are basically like an overgrown theodolite which spins slowly around its vertical axis. Another part of it like a scope spins around a horizontal axis driven by internal motors and captures millions of points in three dimensions to produce very accurate 3D models of any object in its path and range. This information can then be downloaded to computers and used for design purposes, historic records and to detect wear and tear of machinery etc. Our Leica Scan Station can capture a million points per second. A precision instrument for measuring horizontal and vertical angles. It consists of a movable telescope mounted within two perpendicular axes—the horizontal or trunnion axis, and the vertical axis. When targeting an object, the angle of these axes can be measured with great precision. The Western Australian Planning Commission (WAPC) responds to the strategic direction of government on urban, rural and regional land-use planning and land development matters throughout Western Australia.